Adalberto Alvarez y su Son – ¿Y que tu quieres te den? ¿Y que tu quieres te den? What you want me to give you? One of Cuba’s most popular performers, Adalberto Alvarez performs one of the dance floor’s most popular songs and homage to the Orishas. “Trumpeter-bandleader Miles Davis (1926-91) was a catalyst for the major innovations in post-bop, cool jazz, hard-bop, and jazz-fusion, and his wispy and emotional trumpet tones were some of the most evocative sounds ever heard. He was also one of the most identifiable and misunderstood pop icons of the 20th century. This engrossing British documentary shows the complex layers of this magnificent and mercurial artist. Through rare footage and interviews, we learn of Davis’s middle-class upbringing and his early days with bop legends Dizzy Gillespie and Charlie Parker. The documentary bluntly deals with Davis’s narcotic nadir and his rise from the depths to become a bona fide jazz icon in the mid-’50s to late ’60s. But the most penetrating and poignant portraits of Davis come from musicians who played with and were influenced by him, including Shirley Horn, Herbie Hancock, Joe Zawinul, and Keith Jarrett. Outstanding musical selections include modal masterpieces “So What” and “Blue in Green,” the haunting soundtrack to the 1957 French film Ascenseur pour l’achafaud, his romantic rendition of Cyndi Lauper’s “Time After Time,” and his collaborations with arranger Gil Evans. The most surprising aspects of Davis’s personality that emerge from this film are his shyness, vulnerability, and, yes, humility. As he said himself, “Don’t call me a legend. Call me Miles Davis.” –Eugene Holley Jr. 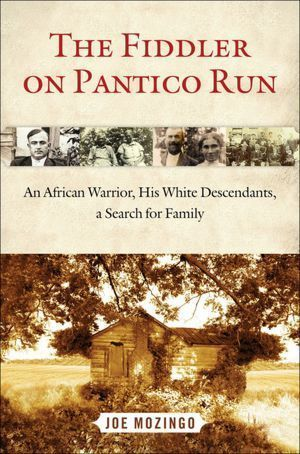 I just finished reading The Fiddler on Pantico Run: An African Warrior, His White Descendants, A Search for Family. Beautifully written and thoroughly captivating, it recounts the journeys of a reporter across the United States and to Africa to trace and uncover the African roots of his family tree. Joe Mozingo, a writer with the Los Angeles Times, always doubted the various explanations given by his relatives pertaining to the origin of his surname Mozingo. A chance meeting with a black journalist with a similar name compelled him to look beyond the family rumors and legends that recounted ancestral roots in Spain or Italy. His curiosity led him to discover its connections to the African continent and to the earliest settlers in Virginia. His search for his ancestors also revealed an inconvenient truth many of his relatives refused to recognize or accept. It is a truth of which countless “whites” in the USA remain ignorant: their lost, hidden, or forgotten “black” ancestry. How many so-called “blacks” crossed the colorline or were crossed by it during the course of our history as a British colony and then as the United States remains unknown and therefore unquantifiable. The phenomenon of “passing,” however, is well documented. 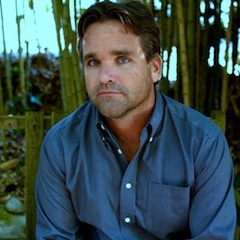 A plethora of anecdotal evidence exists and stories similar to Joe Mozingo’s are receiving renewed attention and interest. None of this history should surprise anyone in the US. The mixing of Africans, Europeans, and Amerindians began as soon as the groups came in contact with each other. However, it is with the racialization of slavery and the advent of the colorline in the late 17th century that “whiteness” becomes a definable and desirable status and commodity. The value of “whiteness” increased with the importance of slavery to the US economy, and with the imposition of an apartheid regime of legal discrimination based on skin color after emancipation. Driven by the virulent antiblack racism of US culture, many women and men of African ancestry decided it served their best interests to obey the two principles of white supremacy: (1) Be “white”; and (2) Don’t be “black.” They ignored the social and legal restrictions sanctioned and imposed by the so-called “one drop rule” and purchased their “whiteness” with their feet. They walked or jumped across the colorline and disappeared into “white” America most often without notice. Their decision and choice reveals both the pervasive nature of racism in the US and its tragic absurdity. Joe Mozingo writes with a keyboard and a machete. Like a field hand cutting cane, he slices through the tangle of dissimulation that comprises his family’s history and the history of the founding of the United States. The narrative path he carves out of time exposes the essential role of indentured Europeans, enslaved Africans, and disenfranchised Amerindians in building this nation and at whose expense and exploitation others could claim and achieve the American Dream. Realism trumps romance on every page of this book. Although Mozingo constantly imagines and re-imagines the life of Edward Mozingo, his African ancestor, and what it could mean for him and his family centuries later, he seldom loses perspective in his quest of self-discovery. Edward Mozingo thus remains more a mystery than a found object to be fetishized and worshiped. What emerges in the end is the story of a man whose family history typifies the American experience while challenging and contesting the status quo and meaning of American identity.